The Department is frequently conducting National and International level workshops, Seminars and conferences to enhance the student’s competitiveness skills. 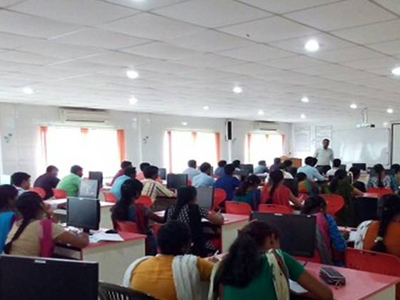 The prestigious Clubs such as Free and Open Source Software Club, Association of Computer Engineers, Computer Society of India, Indian Society for Technical Education, JEC Tech Groups on FOSS are imparting technical skills on various recents technologies which is highly demanded in Industry. The Department producing more number of University Ranks every year. The Labs were completely migrated from the usage of Software from Proprietary tools to Free and open source Software since 2006. 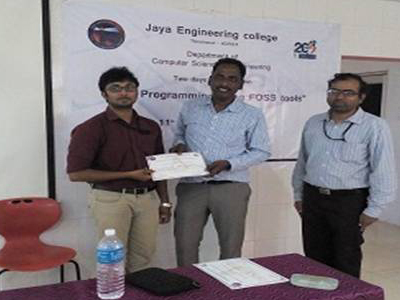 The Laboratory courses are being conducted using Free and Open Source Software’s. 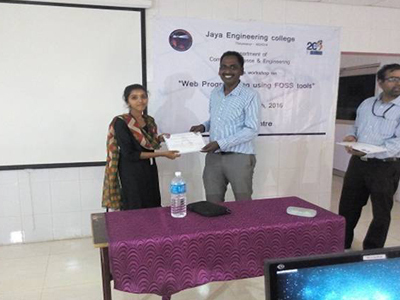 Two of our students Proposals has accepted by Google Summer of Code in the year 2008 and 2009 respectively which brought laurels to our department. One of our students projects highly commented by Netherland Police and its being used by them. The Department Produced number of Entrepreners. They are successfully running their respective entrreneurial ventures. Most of our students are contributing their ideas and work to various Open Source Projects. Mr. Venkatachalam from IIM Lucknow, currently working in Samsung at UK, interacting with CSE students on 04.01.2019. 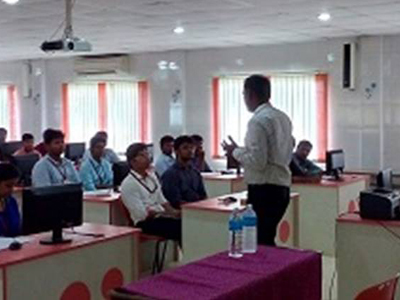 Brief Summary: This workshop explains the working prototype of the E-Yantra robot. Students were taught with the brief explanation about robot and hands-on practice with it. Also, instructor taught them the fundamentals of AVR microcontroller, Adriano microcontroller and it’s IDE. Students practiced the AVRmicrocontroller using Proteus Simulator to circuit and code andArduino UNO is practiced by interfacing the many sensors (analog and digital) with it. 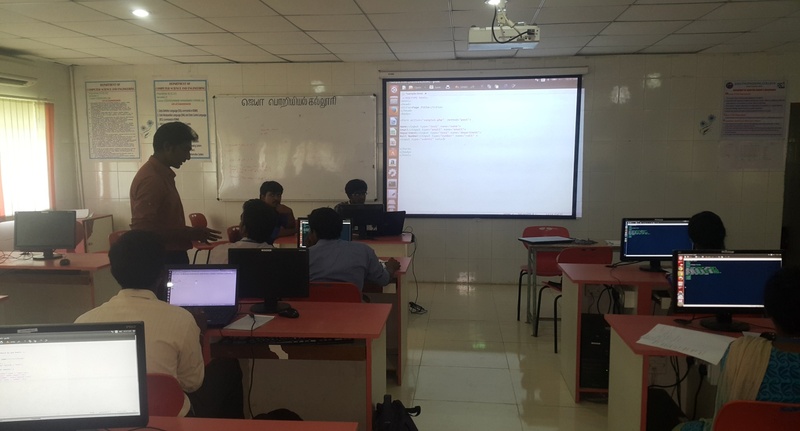 Brief Summary: Android workshop which had been conducted on (14-07-18 & 21-07-18) by final year students Harish.U and Fazil sheriff.O to give some knowledge on platform android to the second and third year students, Nearly 90 students were attended the workshop. In this Workshop first session there is intro on core-java and android studio, In second session there is hands on training on android studio about intent, Interface controls and their actions etc..By this workshop the second and third students gain some knowledge on Android and willing to do some mini projects on android.